Alfred was the fourth son, born at Union Village on 12 November 1844. He married Mary Combe in 1866 and they had two daughters and one son. In June 1874 he purchased 116 acres of land at Red Hill, near Dromana, for one pound and acre from the crown. He named the property "Fern Gully". In 1884 he bought an adjoining area of 83 acres. Their first home built was a log cabin sealed with local clay. Alfred developed the property as an Orchard, growing principally apples, with pears, plums and cherries and also a vatiety of vegetables. 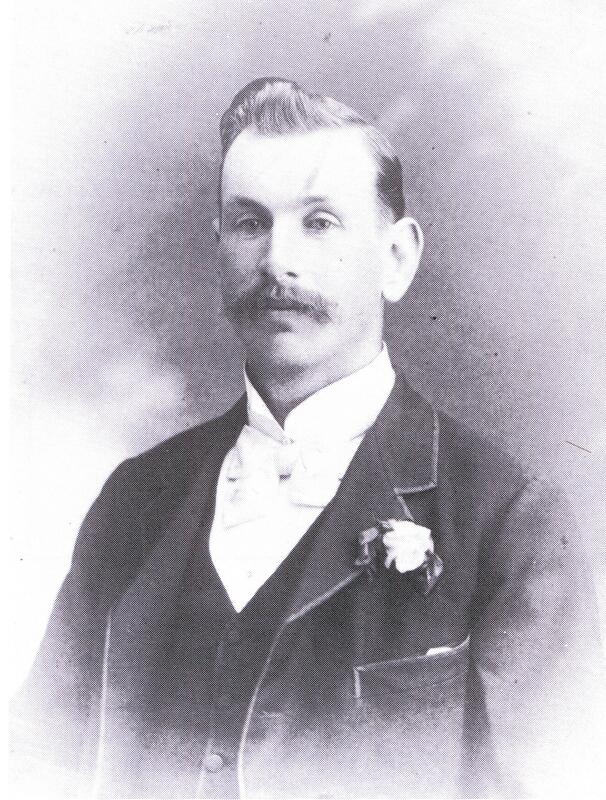 From 1887 - 1889 Alfred was a councillor in the shire of Flinders and kangerong. Being an ardent churchman, he walked four miles to the small Red Hill Church, later he drove a buggy, which had once belonged to the Governor of Tasmania. Shortly after the death of his wife Mary in 1918, Alfred went to live with is son Alfred Charles at :Mundara" Seymour. During this time he remained a very avtive man for his age, keeping a large vegetable garden near the Goulburn River, even carting water in buckets 30 feet up a steep bank. Alfred spent considerable time each year visiting relatives in many parts of Victoria, coming to Melbourne to celebrate his 90th birthday at he nephews residence in Hawthorn Road Brighton. Howard Weber and wife were host to 150 relatives who gathered to wish Alfred the best. later in January 1935, whilst visiting neices at Brighton, Alfred died on 22nd during a heat wave.